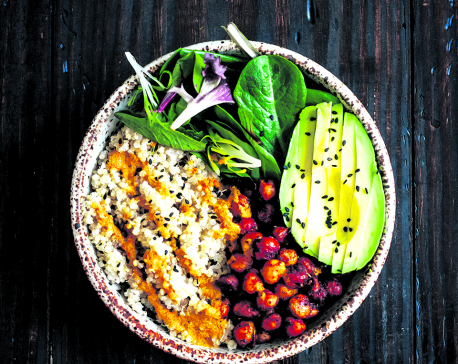 Going vegan is actually a piece of cake, say the vegans we spoke to but, according to experts, a vegan lifestyle can be challenging, especially health wise. 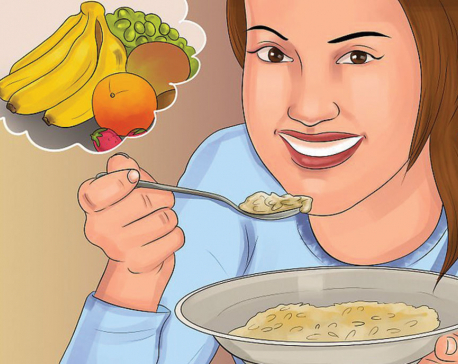 One has to find alternate food sources to compensate for the required nutrients such as proteins, minerals, and vitamins that are mainly found in meat and dairy products. 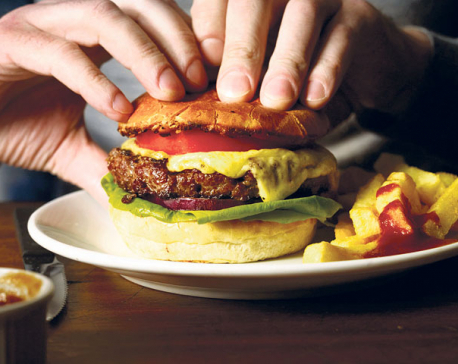 How people think and behave is largely determined by what they eat and how they eat. 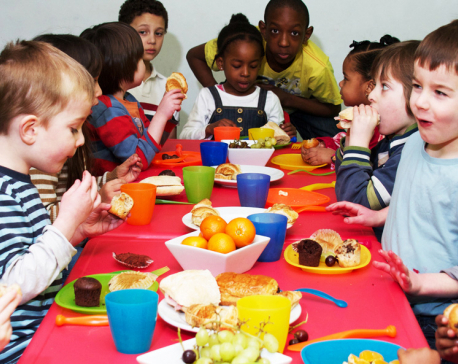 We can simply surmise the nature and behavior of people by observing their food behavior. The filthier their trash bins the unhealthier the people. The greater the food waste, more the chances that family is irresponsible. The most successful people are those who are the most responsible about food. Therefore, I believe a close study of kitchen is crucial in unearthing the basic tenets and secrets of any cultures. Hosting a party or a get together can be a little stressful, especially if you are having one at home and you are responsible for everything, from cooking the food to managing the entertainment. But with proper planning and a few simple ideas, hosting a party can actually become a hassle free and a fun thing to do on a weekend. Here we share a few tips to make hosting a party easier and exciting, just the way it should be. 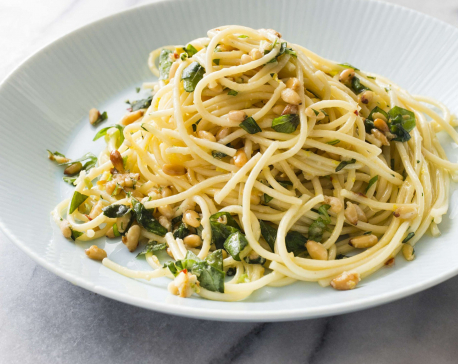 The late-night spaghetti monster will be tamed with this flavor-packed pasta that comes together quickly from pantry ingredients. The key here is making the most of the garlic. We toasted a whopping 2 tablespoons of minced garlic in extra-virgin olive oil over low heat just until it cooked to a sweet and buttery pale golden brown. An expired date on an egg carton. Browning avocados. The Chinese takeout from last week. They’re all foods likely destined for the trash. If you’re hoping to reduce household food waste, experts say there are two key things to do: Eat what you have, and buy only what you need. 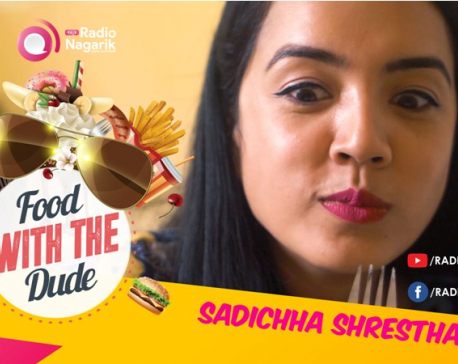 Radio Nagarik 96.5 featured Sadichha Shrestha on the second episode of their web-show, ‘Food with the Dude’ on Friday. If you’re looking for a place with cozy vibe and which serves good food, Ageno Restaurant is the place to be. 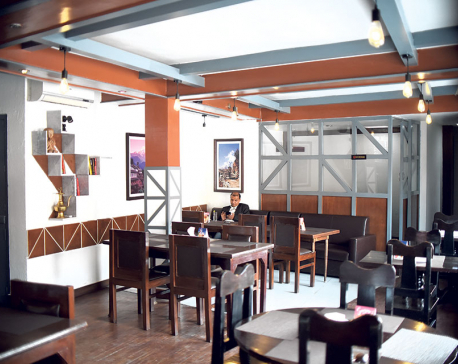 Located in Dhobighat, Lalitpur, this restaurant shares its space with a bakery of the same name as well as an event venue. It has become obvious that consuming fruits and vegetables laden with pesticides and insecticides result in a multiple health complications. 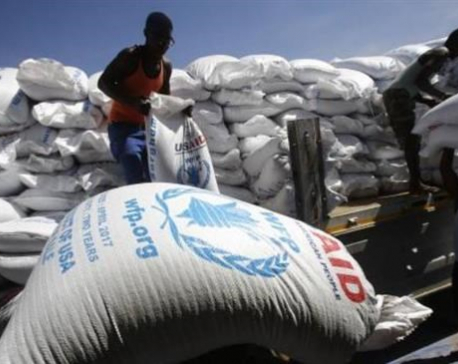 KAMPALA, March 19: Uganda is investigating a supply of food from the World Food Programme (WFP) after three people died and more than 150 others became sick in recent days, police said. 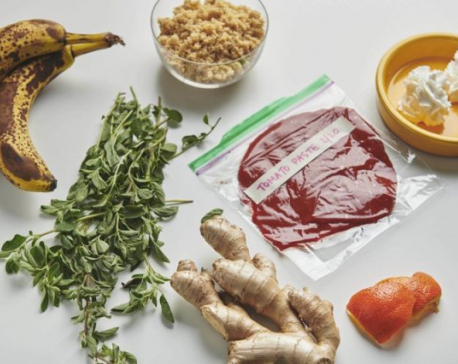 Do you think of your freezer as an extension of your pantry? You should. Yes, we know the freezer is a marvelous holding pen for emergency frozen dinners, packaged frozen vegetables and ice cream. But it also can store a wide range of spare ingredients to have at the ready. 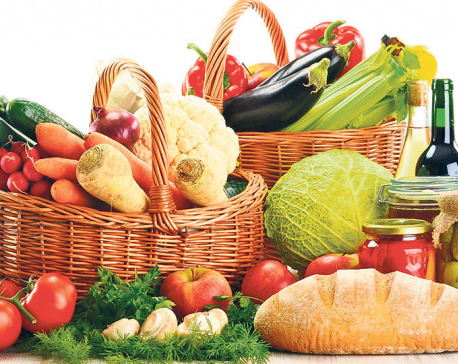 Many foods that are not obvious candidates for freezing can be stored therein excellent condition. 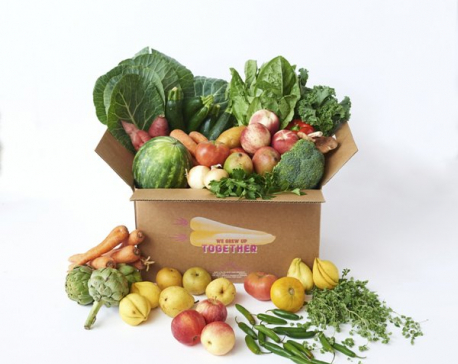 Freezing food is also a great way to reduce food waste, a big issue both in our country and our kitchens. 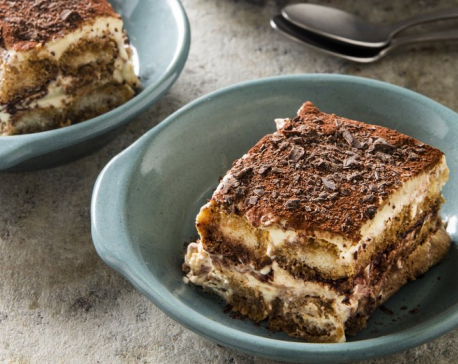 With its boozy, coffee-soaked ladyfingers and sweet, creamy filling, it’s no wonder tiramisu is Italian for “pick me up.” Instead of making a custard filling, we simply whipped egg yolks, sugar, salt, rum and mascarpone together and lightened it with whipped cream. We briefly moistened the ladyfingers in a mixture of coffee, espresso powder, and more rum. 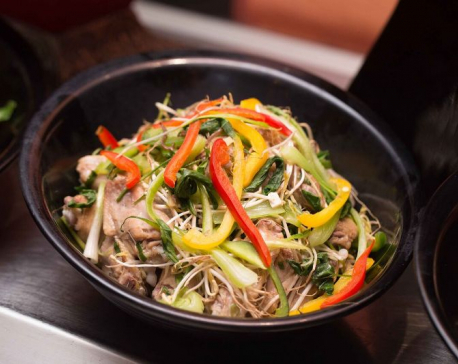 Radisson Hotel Kathmandu hosted ‘The Chinese Food Festival’ at The Fun Café on Friday. 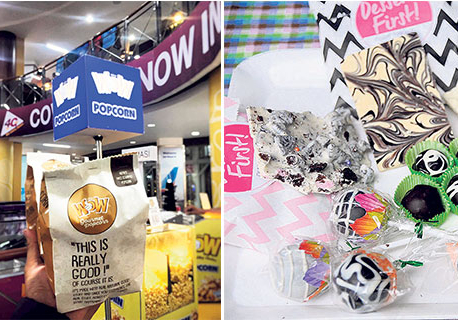 The Fun Café is located at the Radisson Hotel premise. 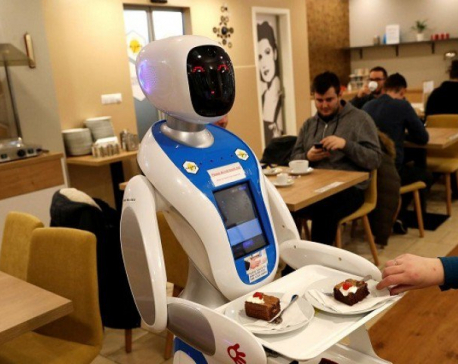 The robot waiters follow fixed paths to deliver food and drink orders to customers, who are asked to keep out of the robots’ way. Others serve up entertainment, such as Pepper, a “receptionist” robot that can hold a conversation and also dance with customers. Biku Maya Bajracharya is 71 years old and one happy soul. 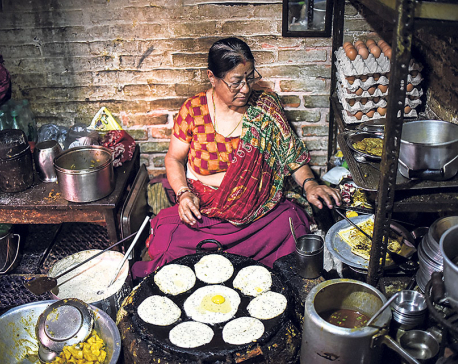 From the year 1976 she has sold woh (Nepali pancakes) in a small corner tucked away in an alley behind the Nyatapola Temple in Bhaktapur. Amidst the splatter of Bhaktapur’s splendid colors, it sits unassuming and silent. People who have heard of her, make it a point to come to her for wohs once every week. 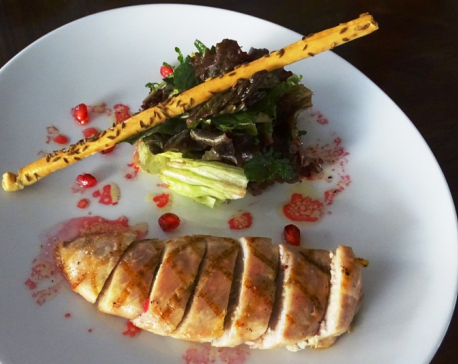 Rox Restaurant at Hyatt Regency, Kathmandu is presenting an À la carte menu, comprising of winter foods from January 4 to February 3. 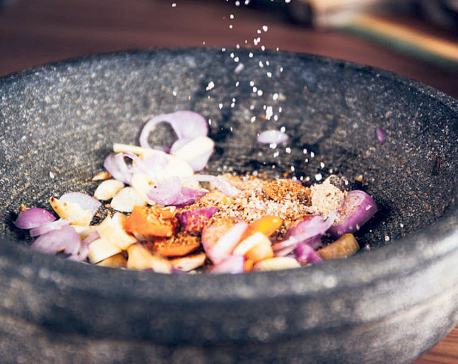 The menu features seasonal ingredients and vegetables that help keep the tummy warm during winter. Chef Dhiraj of the restaurant prepared the menu. 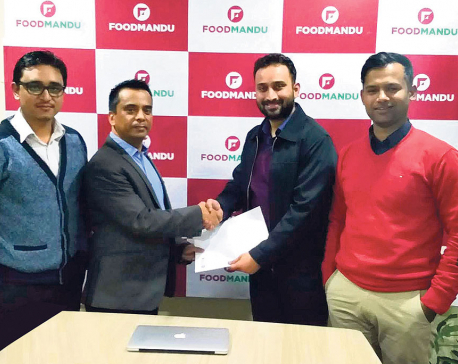 KATHMANDU, Dec 29: Khalti, an emerging digital wallet and payment gateway in Nepal has announced a partnership with Foodmandu, an online food delivery platform of Nepal. Amit Agrawal, Director of Khalti and Manohar Adhikari, Founder and CEO of Foodmandu signed the partnership agreement on Thursday. This collaboration will facilitate users to make digital payments for food ordered online through the Foodmandu app and website. 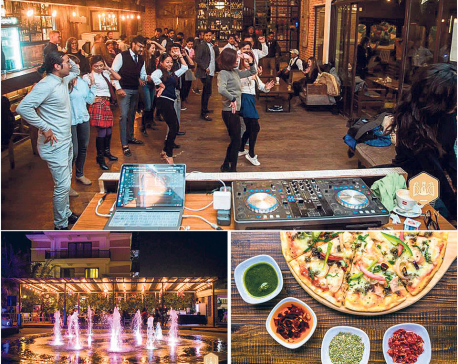 KATHMANDU, Dec 19: Do you love going to restaurants? When somebody needs to hang out and needs to have some good food, restaurant is the first place that crosses the mind. However, the pertinent question remains, “Which restaurant?” The choice of the restaurant depends on various factors. We enjoy eating the food we love. 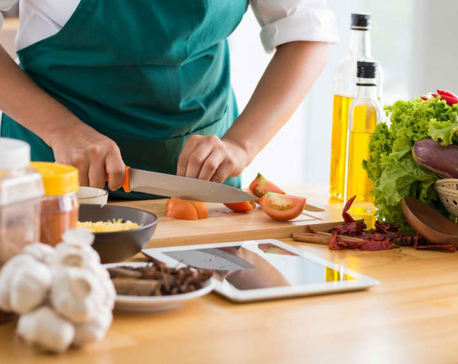 Despite being knowledgeable about good nutrition and ways to eat healthy, people are lured by their enthusiasm for new taste and eating something they love; irrespective of the health hazards. This is probably why we love calling ourselves ‘foodie’. 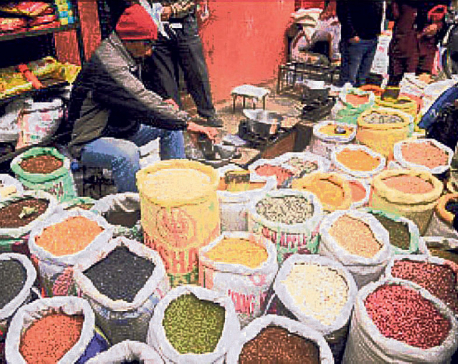 KATHMANDU, Nov 25: There is no doubt that Nepalis are highly influenced by Indian food and culture. 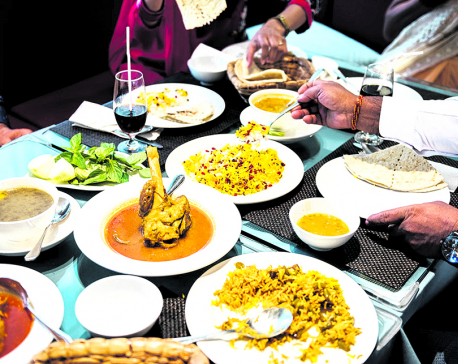 There are a lot of people who long to taste the authentic Indian cuisines. Considering this fact, Hotel Fairfield by Marriott, Kathmandu has organized the ‘South Indian Food Festival’ in association with Swami Vivekananda Cultural Center, Embassy of India, Kathmandu in its premises, Thamel. 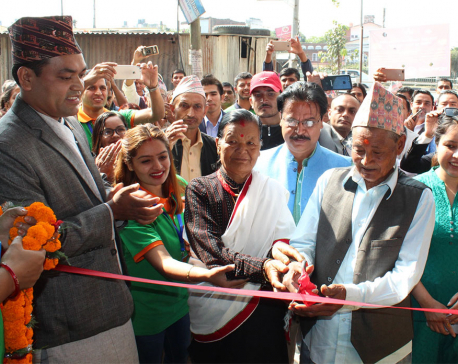 The fest was inaugurated by Ambassador of India to Nepal, Manjeev Singh Puri on Friday. 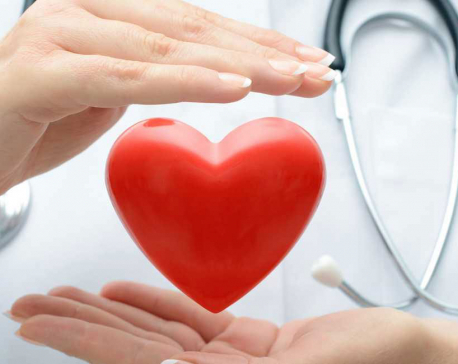 Heart disease accounts for nearly one-third of all deaths worldwide. Diet plays a major role in heart health and can impact your risk of heart disease. 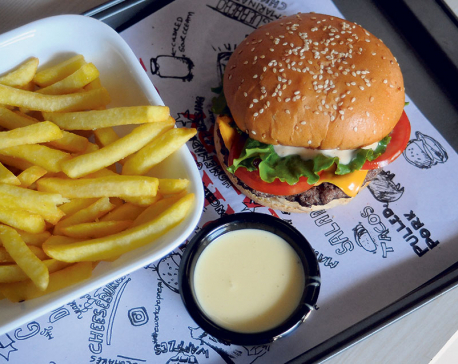 In fact, certain foods can influence blood pressure, triglycerides, cholesterol levels and inflammation, all of which are risk factors for heart disease. KATHMANDU, Sept 25: Hotel Association of Nepal (HAN) has announced 20 per cent discount to tourists at its member hotels on the occasion of the World Tourism Day. 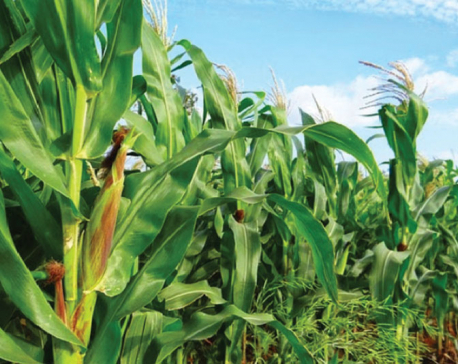 Maize and soybean are the principle crops for food and feed. Nepalis refer to them as Makai and Bhatmas respectively and makai-bhatmas is traditional tiffin commonly used in the hilly areas of Nepal. Besides, maze is used in many ways for food. Boiled corns, fried corn grains, grilled corns, popcorns, corn flakes are commonly found in Nepali kitchen. Thus corn could be consumed as a breakfast, lunch as well as dinner as there are many ways to cook and serve it. 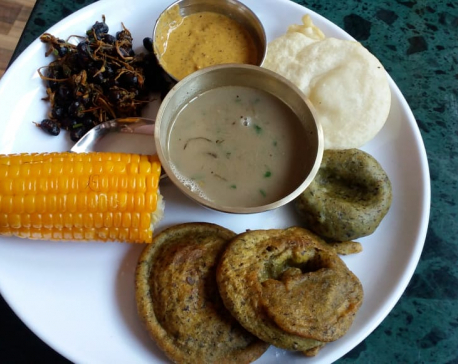 For a traditional Nepali like me, the invitation to wedding parties or any other feasts is a matter of great excitement due to fascinating varieties of food I get to eat. But I cannot ignore the bulk of food wasted on those occasions. This fades my bashing mood, as I have read the statistics that millions of children and adults are compelled to go to bed hungry every night. 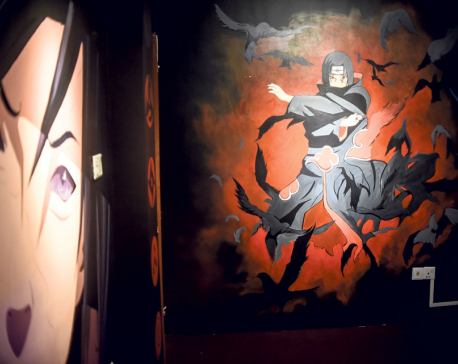 The image of children starving to death haunts me the whole night afterwards. Imagine good food in a cozy setting. Imagine doughnuts dripping in chocolate and cream. Think The Workshop Eatery. 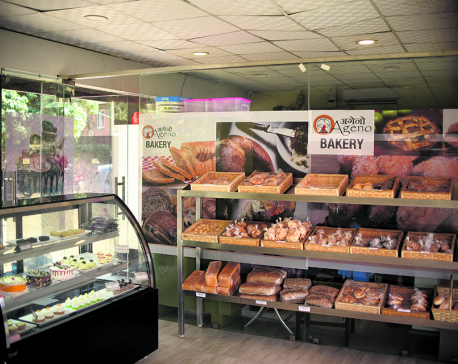 On a quiet street of Bakhundole, Lalitpur, is a small eatery that serves great food and unparalleled doughnuts. The Workshop Eatery has been in operation since the year 2015 and they have been charming the urban populace of the city with their food. Nutrition plays an important role in everyday life of people. 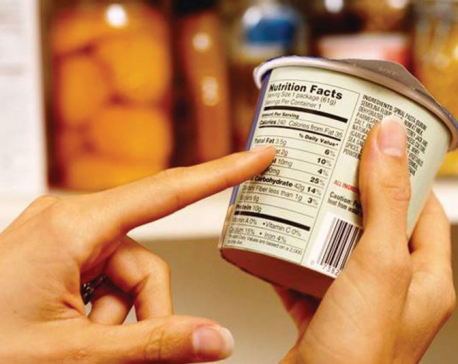 Nutritional label is a systematic way of presenting nutrition information of food product. 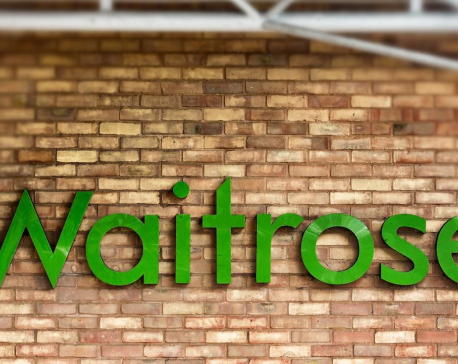 The description is used to inform the customer about the nutritional properties of a food, which also helps the customer in purchasing nutritious food and consuming nutritionally balanced meals. 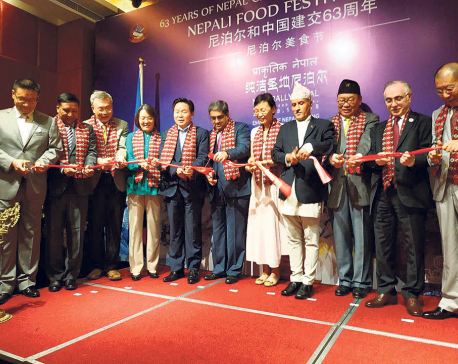 KATHMANDU, Aug 4: A two-week long ‘Nepali Food Festival 2018’ kicked off in Beijing on Wednesday.According to the press statement released by Embassy of Nepal in Beijing, the festival is being held at the Beijing Minzu Hotel in Wangfujing in central Beijing on the occasion of the 63rd anniversary of the establishment of diplomatic relations between Nepal and the People's Republic of China. Everything we eat travel across a food supply chain, a journey from farm to the plate. 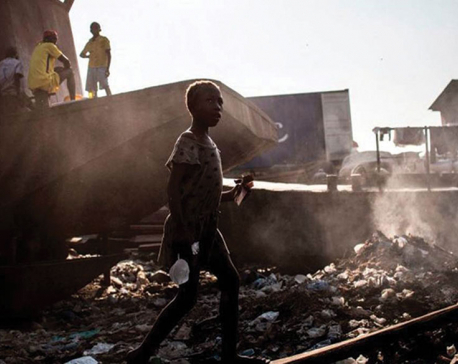 This is a journey that passes through production, processing, distribution, consumption, and disposal. 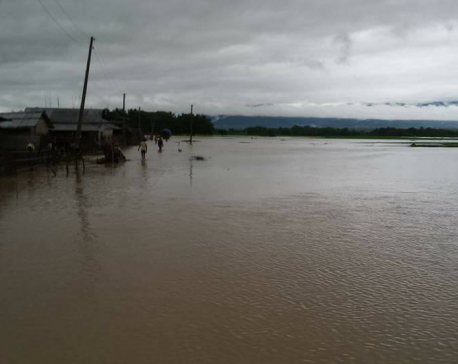 PARBAT, July 24: Nande Damai of Jaljala Rural Municipality-8 in Parbat district has been compelled to live in the streets with three other members of his family after his house was destroyed by a landslide that struck his village five days ago. They were somehow able to save their lives by escaping the landslide debris. But now, they are living a miserable life in the streets. Back in 2008, infants and newborn’s died due to adulteration in their formula milk which further caused 6,200 children to fall sick. It is not uncommon for some unscrupulous producers to indulge in milk adulteration in Nepal as well. Milk is often a subject of fraud for financial gain. Water is the most common adulterant, which decreases the nutritive value of milk. If water is contaminated, for example with chemicals or pathogens are added to the milk, then it possesses serious health risks for consumers. 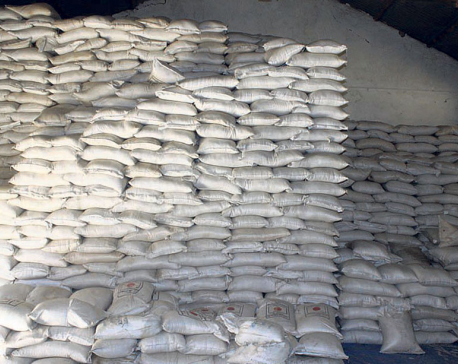 Other cheaper materials are milk powder, urea and cane sugar. 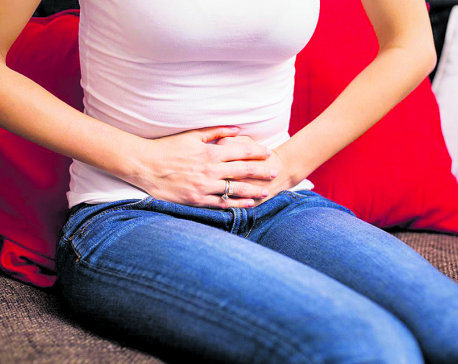 These additions have the potential to cause serious health problems to the consumer. My stomach rumbled as the steam of the momos made way from the food cart into my nose. My eyes, however, were fixed at the hot samosas, still exuding wisps of smoke. Right beside the samosas were crusty smashed potatoes, sloshed with yogurt, and stirred with chilly. The shopkeeper lifted the lid of the steamer and steam of thick cloud belched. 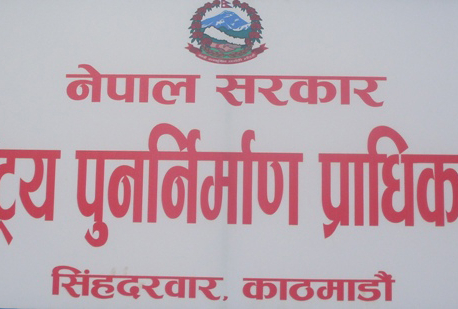 KATHMANDU, July 8: It has been three years since the transit point for trade with Tibet shifted to Rasuwagadhi from Tatopani following the big earthquake. But the food quarantine post still remains at Tatopani. KATHMANDU, July5: The meeting of the National Reconstruction Authority (NRA) is the first one to bear the brunt after the Oli-led government decided to annul political appointments made by the then caretaker Deuba government on August 30, 2017. 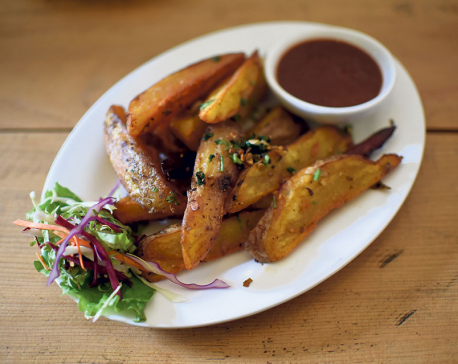 Siddharth Ghimire is arguably the most successful food blogger in Nepal. 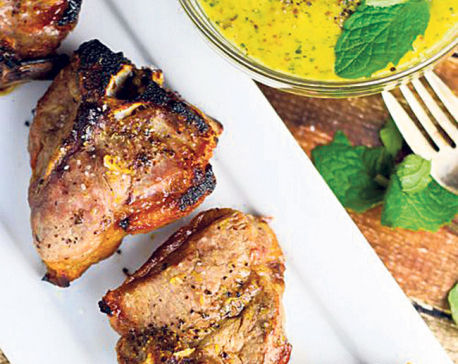 With over 120k followers, @nepal.food is the most followed Nepali food page on Instagram. 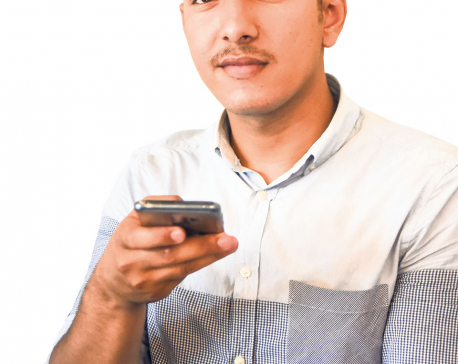 Besides curating the page, Ghimire is also pursuing a bachelors’ degree in film studies, is a food consultant at multiple restaurants as well as a member of the ‘Women In Concert’ team. All in all, you could say his life is pretty hectic but interesting.